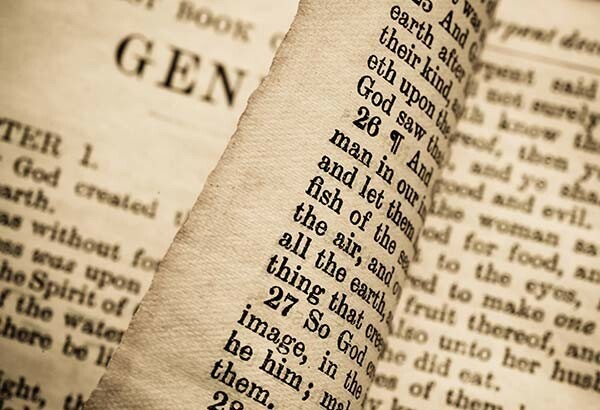 Grace Bible Church confesses its faith in the divine, verbal inspiration and providential preservation of pure copies of the original Hebrew and Greek texts of Holy Scripture. These texts, having been kept pure in all ages by Gods’ singular care and providence, are the authentic Word of God. However, because most Christians are not able to understand the original languages of the Bible and must read God’s Word in an English translation, and because so many English translations of varying quality exist today, it is important for the sake of the truth and unity that this church take a definite position on Bible translation and the accepted English version for church use. Two primary factors comprise the formation of a translation of the Bible—the translation philosophy to be employed and the determination of the authentic Hebrew and Greek texts to be translated. Grace Bible Church believes that the doctrine of verbal, plenary inspiration requires the translation philosophy of formal equivalence (a word-for-word translation intended to tell what the Bible says) as opposed to dynamic equivalence (a meaning-for-meaning translation intended to tell what the translators believe the Bible means). And, Grace Bible Church believes that the doctrine of providential preservation leads to the acceptance of the traditional received texts of Scripture, the Masoretic text in the Old Testament and the Textus Receptus in the New Testament (as opposed to the modern critical or eclectic texts). Therefore, only those English versions of the Bible that are based on the traditional received texts and are translated according to the formal equivalent method can be considered faithful and trustworthy representations of the Word of God in English. The English version that best meets these standards of translation is the King James Version. Therefore, the accepted English version for use in this church will be the King James Version. This means that of all the English translations, only the King James Version is to be used in the public reading and teaching ministries of the church. While we only use and recommend the King James Version and deem other English translations untrustworthy for various reasons, we reject many of the claims of those “King James Only” proponents who attempt to elevate this translation to a position higher than that deemed by Scripture itself. For example, we reject any notion that the King James translators were “inspired” in the Biblical sense or that the very English words are “inspired” in this same sense. We also reject the belief that the English translation corrects the Greek or Hebrew texts or contains “advanced revelation.” We highly esteem the King James Version and consider it to be the very word of God to mankind, but we must be careful to avoid an unbiblical view of inspiration in an attempt to defend it from its detractors. Finally, we refuse to ostracize anyone or make anyone who brings or uses another translation feel uncomfortable at Grace Bible Church. We are grounded and convicted in our position, and we will trust God to educate and illuminate those who do not yet understand or embrace our position as the Scripture is taught from the classroom and pulpit.